Jean Pierre Jeunet and Marc Caro are two French directors who started out both of their careers working together, jointly directing films. They started out directing a short film called The Bunker of the Last Gunshots (1981), which coincidently same as Delicatessen, was also a post apocalyptic film! 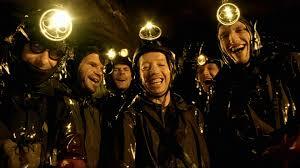 But it was Delicatessen that marked the first time the creative duo collaborated on a full length feature film. They then worked together on what is undoubtedly considered their masterpiece, The City of Lost Children (1995), an amazing film that I keep getting lost in over and over again. Highly urge anyone who hasn’t seen it to give it a try, trust me, if you like layered and visually rich films, you won’t regret it. 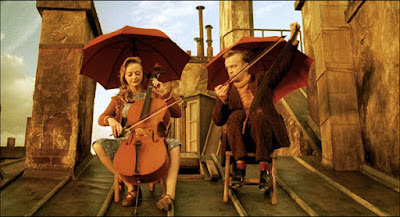 As it often happens with explosively creative duos like this one, Jeunet and Caro ended up parting ways, each going off to make their own films. 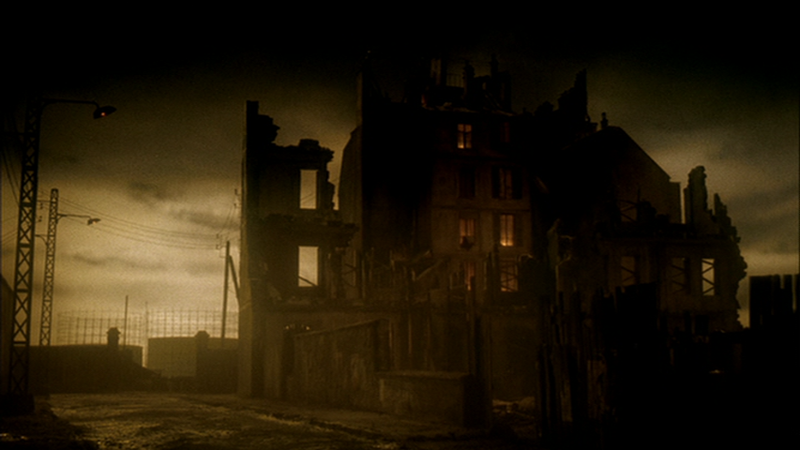 Of the two, Jean Pierre Jeunet has been the one with the more prolific cinematic career. Jeunet went on to direct Alien Resurrection (1997), Amelie (2001), A Very Long Engagement (2004) and most recently Mic Macs (2009); while Caro has only directed a science fiction film called Dante 0.1 (2008) which in my opinion was a visually interesting film, but ultimately, a let down. Even though Caro hasn’t directed as many films, he’s always kept busy in one way or another working as artistic director on various films, including Gaspar Noe’s Enter the Void (2009). I really enjoyed the two films these directors collaborated on and Delicatessen’s where it all began. This film is so unique, I think it's one of the few "art house" post apocalyptic films ever made! 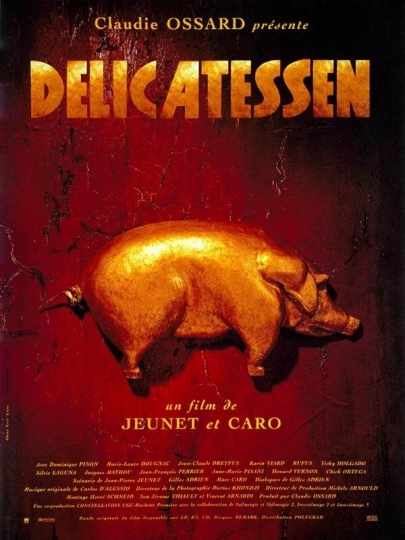 Delicatessen tells the tale of Louison, a handyman/ex circus clown that’s looking for a job. Things are pretty bad in this post-apocalyptic world ravaged by war. People are living in extreme poverty, barely able to eat at the end of the day. The film centers on the tenants of an apartment building which has a butcher shop on the ground floor. The landlord is also the owner of the delicatessen. Every now and again, he sells meat to his tenants in exchange for grain. But he doesn’t have meat to sell all the time; meat is a rare commodity during these difficult times. When Louison notices the “help wanted” on the Delicatessens window, he decides to take the job. Louison asks what happened to the previous handyman, but all they tell him is that one day he mysteriously disappeared. What really happened to the previous maintenance man? 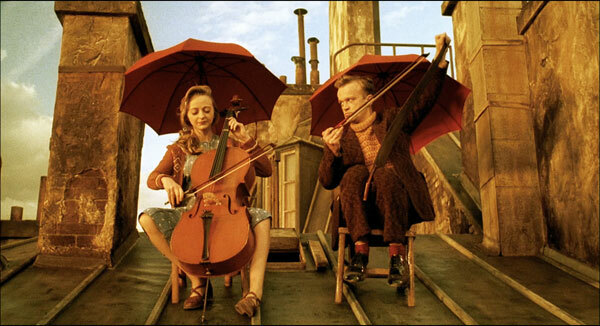 So there are various reasons why I love the films that Jeunet and Caro directed together. They have this look and feel to them, such attention is paid to the mood that the visuals are to evoke, ultimately, I guess it’s Caro’s touch in art direction that makes these films such a wonder to look at. If you don’t believe me, just check out the films opening credits, they immediately let you know you are in for a specially crafted film. 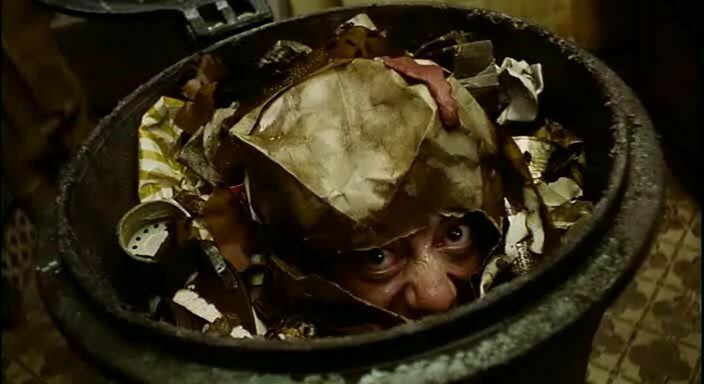 Delicatessen is a film filled with visual gags and lots of dark humor. It has some slapstick in it as well, executed by the comedic talents of frequent Jeunet and Caro collaborator, the great Dominique Pinon. A scene that shows us just how creative these guys can be is one in which every tenant in the building is going about their daily business at the same beat, in unison, in synchronicity with the love making of one of the couples in the apartment. It’s a hilarious scene! So even though this is a dark film, it is brilliantly mixed with comedic situations and visual gags galore, which is something that distinguishes Jeunet and Caro’s films. Originally, the first film that Jeunet and Caro wanted to make was The City of Lost Children, but since their careers where just getting started, they didn’t have the clout to get the funding necessary to make their dream project. The budget needed to bring The City of Lost Children to life was too high and so they had to settle for making a smaller (yet still profitable) film which ended up being Delicatessen. But you wouldn’t know this is a smaller budget film by looking at Delicatessen; the film looks just as good as anything the duo ever directed. It was thanks to the critical success of Delicatessen, they finally got the money they needed for what is in my opinion still their grand masterpiece: The City of Lost Children. Delicatessen speaks about war, and famine and how difficult it is for “the people” to survive when their governments make it so difficult for them to live, essentially turning the world into a ‘dog eat dog world’. In the film, the characters resort to cannibalism to survive, they eat each other in order to make it, the symbolisms aren’t that hard to grasp. I’m sure a lot of you out there can sympathize with this idea, things being as difficult as they are in the world right now, some countries aren’t calling this a recession, some countries are calling this a depression. Like the great depression of the 1930’s, unemployment skyrockets, people get desperate, crime rises. 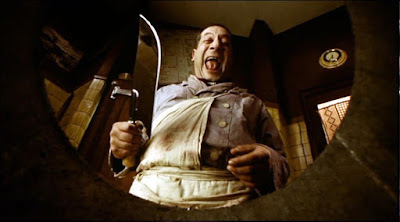 In Delicatessen, Louison realizes that desperate times can make humans act in evil ways when he says “Nobody is entirely evil, it’s the circumstances that make them evil, or they don’t know they are doing evil” Which is a very true sentiment. The other day I was walking to the movie theater (to see The Avengers!) and this desperate looking individual asked me and my friends for some money to buy something at Burger King; we kept walking because the guy looked like he could try and actually mug us, I mean the guy had this “I'll kill you” look on his face! Point is, I remember telling my friend the exact same thing that this film is trying to express. “There are situations in life that can make us do evil things” I said. I also told her how maybe that man isn’t naturally an evil person, but his need for money might make him attack us. Hunger, drug addiction, poverty, these are things that can make any man attack another; which is what this film is trying to illustrate with its cannibalism theme. Sadly, such is the world we are living in. But there is of course hope in the middle of the sadness. In Delicatessen Louison falls in love with one of the tenants, and so as Willy Wonka would say “a good deed shines in a dark world”. Yes my friends, at heart, Delicatessen is actually a romantic and at times even poetic film. Delicatessen has a positive message after all. Love conquers all evil. The world might be turning into a desperate place, but Louison and his new love play to the beat of their own drum, they dance to the rhythm of their own music. I also enjoyed how the film sometimes focuses on these two kids who emulate Louison and Julie in their ways. In this sense, the film is also trying to tell us that hope lies in future generations, and what we teach them, so in the end, Delicatessen is not as dark a film as it seems. Highly recommended! I much prefer Delcatessen to City of Lost Children. The fact that this a simpler film makes its story ever more honest. 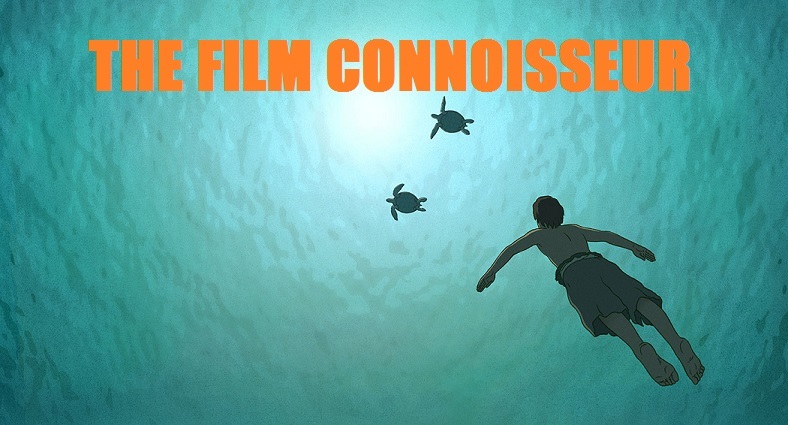 It's one of the most unique films I've ever seen. Yeah, these guys films have a uniqueness to them, yet I also detect a bit of a Terry Gilliam influence in their films as well.